Zweites Deutsches Fernsehen, usually shortened to ZDF, stylized as 2DF since 2001, is a German public-service television broadcaster based in Mainz, Rhineland-Palatinate. It is run as an independent nonprofit institution, which was founded by all federal states of Germany (Bundesländer). 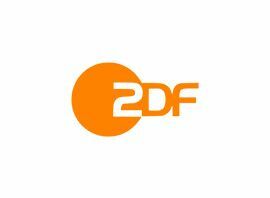 ZDF is financed by television licence fees and advertising revenues. The broadcaster is well known for its famous programmes heute, a newscast established in 1963, and Wetten, dass..? an entertainment show premiered in 1981, and ended in 2014. Thomas Bellut is the current director general, was elected by the ZDF Television Council in 2011.